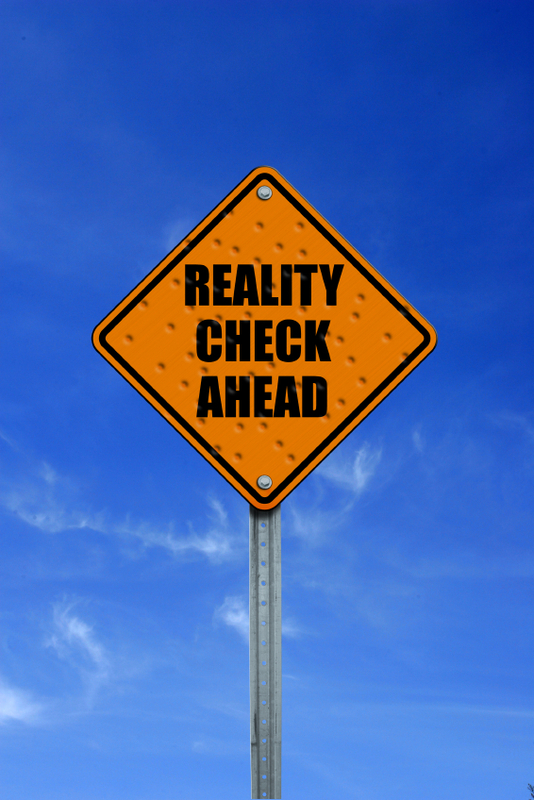 Massive misperceptions lead industries into poor choices. But industry politics make people hesitant to call out those mis-perceptions – sometimes for fear of losing future work; at other times because its easier to go along with the crowd; and most often because it’s hard to find the courage to remind the world the sky is blue when “everyone” else says it’s orange. Does anyone really believe this? Any honest look will tell us that the web may be the noisiest ad environment in history of mankind. And while it may be targeted, that doesn’t mean it’s any less offensive. Web advertising regularly interrupts our enjoyment of content. On the commercially very successful HuffingtonPost, it’s random whether a new page you visit will pop down several screen inches then back up seconds later as aggressive top of the page banner ads expand. On most news sites, pop up windows are a constant irritation. On more technologically advanced websites, ads expand and contract (apparently randomly) as you move your cursor around the page. If we choose to view a web video, we have to put up with pre-roll ads. And now we even have to fight new types of banner ads that take over the page we’re viewing and force us to click out of them or wait for them to finish. I’d sure love to find the web utopia that guy was writing about. It sounds a whole lot better than the web we have. But even worse, in social sites, companies design viral video’s to sucker people into friending their commercial endeavor, then bombard them with commercial messages. Ah, the fundamental dis-honesty of new media. And if you have Gmail (or similar “free” services), commercial messages regularly interrupt your privacy. I went to a Google presentation here in Portland recently. The presenter proudly discussed how, after he had moved here and emailed with his wife about their car, their GMail immediately featured ads from the local auto dealer. Yikes. I think we’ve finally found Eric Schmidt’s “creepy” (and people at the tables around mine thought so, too). Are online advertisers desperate? This aggressive interruption on the web suggests that advertisers are desperately searching for impact. And the latest news confirms they might be. Google is desperately searching for TV ad revenue because their other online sources just don’t have enough growth to make the stock market happy. And just last week Best Buy announced that they were returning to advertising on TV because they hadn’t been able to drive their mass business from the web. So what about this whole issue of respect? I strongly advocate respect – real respect. But the respect that matters most is the respect between the company and their consumer. Over the past 20 years I find that agencies have developed an intense disrespect for their true consumer. And I believe clients are beginning to realize how ineffective their ads have become as a result. Many ad agencies or creative teams no longer believe consumers want to know about products and the information needed to make intelligent choices as they shop. Instead, agencies focus first and foremost on “entertainment” and end up delivering little consumer value. It doesn’t matter if you’re using the oldest of the old media or the freshest of the new, this type of advertising will offend the consumer. And what about the web? Truth is that the web should be much more powerful than it has become. It’s only by challenging these fallacies that we can make it so. In the late 1990’s, the tech industry hype machine went into over-drive telling us that the web would replace retail and become the biggest sales channel for every product on earth. Of course, it didn’t happen. Today, brick & mortar retail dominates purchases – and does so while using the web as one of many communication options and as a small, but important, sales channel. Once again, these broad claims are bunk. And, with beautiful irony, the theory of web dominance in advertising breaks down because of what the hype machine also tells us is the web’s biggest strength: nearly infinite segmentation. Web users sign on, search through a small number of search engines, then scatter around the web faster than particles pushed outward from a supernova. Segmentation and fragmentation are two sides of the same coin. If all we expect of the web is a highly targeted minority role in our marketing mix, then the web has segmentation. Or if you are selling a niche B2B product to a technical audience (like IT), then the web offers segmentation – and highly valuable segmentation. But segmentation becomes fragmentation when we consider the idea of replacing advertising’s biggest gun: television. When compared with TV, web audiences are not merely fragmented but shattered into billions and billions of tiny shards. TV’s opportunity to move millions of consumers to action simply doesn’t exist on the web. But heck, many web investors don’t want to hear this. And, just so, they’ll fire back. With what? Probably a Forrester research report showing an astronomical 20 year growth curve for the NEXT web invention – perhaps location based search engine optimization delivered via socially viral online video with a twitter core hosted on a cloud. Yup. That’s the ticket. It’s time for the ad biz to grow up and confront the tech machine’s hype with advertising reality. Claims of “FREE!” drive purchases of cheesy TV products from Shamwow’s to those (supposedly) Amish heaters. But somehow, it escapes notice of the tech press that equally cheesy claims of “free” run deep amid marketing of the internet. Free music, free newspaper articles, free magazines, and now supposedly free television. Everybody offers free. And it’s no surprise that consumers go for it. In fact, this idea of making millions by giving things away was found in many of the irrational “business plans” that dotcom’s claimed would make their investors rich. It didn’t work then, but maybe things have changed. How is “free” going for Wikipedia”? Wikipedia is the poster child for internet “free”. Except they are deep in the midst of a campaign attempting to raise $16M in donations just to keep their doors open. It’s a campaign that pitches quite hard. Makes me think that even for a donated content online Encyclopedia, “free” isn’t quite as powerful a business plan as we thought. How is “free” working out for newspaper and magazine content? Bob Garfield wrote an AdAge blog entry recently about the incredible dark side of “free” print on the web. He notes that print on the web is driven by sites that “aggregate” (bring together) content. Where do aggregators get good content? From newspapers or magazines. Except aggregator sites deliver content to you for free. Well, the revenue doesn’t trickle back. Garfield notes how “free” access has undercut the economic model that created good content in the US. But he also notes that even those aggregator sites are struggling to keep in business. Guess this model is so flawed that you can’t make money even when giving away content you didn’t make. Double “free” is publicized with massive money from manufacturers of internet TV sets, creators of internet TV sites, the venture capitalists behind them, and the tech research agencies paid by the venture capitalists – all drooling at the idea of tapping TV’s big old vein of pure financial gold. And, frustration with out-of-control cable TV costs means there’s very high consumer interest in cost savings. But do consumers really want what double free TV would mean? I don’t think so. Double “free” TV over internet will kill content. The existing economic model supports an incredibly well developed, sophisticated, sometimes dysfunctional, but essentially effective eco-system – an eco-system that creates good TV, offers the single advertising medium which delivers the best economic impact and delivers most of what consumers want. The net results for consumers would be the death of programming. Google claims they’ll stitch together YouTube content to make programming (of course, selling their own advertising time within that content). Don’t expect much. The existing ecosystem turns out everything from niche to mass hits – 30-Rock, The Daily Show, Survivor, Amazing Race, NFL Football, Antiques Roadshow, and CSI Miami on a big screen (I just can’t include “Darth Vader, Night Clerk” in that list). But it costs millions to deliver those shows – often over $1M per episode. – Hulu (funded by networks) started “free”, but is beginning to use subscriptions. – The networks fight regularly with cable operators to maintain a viable economic model – even if that means people don’t get to see the World Series. We have to assume they’ll use all means to fight against a double free idea that hurts their business. – An example of this seems to be that while networks work with Apple, they don’t work with GoogleTV. Maybe they know Apple wants to create viable media business models. But it seems the only reason to create GoogleTV is to try to steal advertising revenue that currently goes to the networks – revenue that pays to for programming. – Now Hulu (funded by networks) has made it so that you can’t watch their programs on GoogleTV’s. – Network testing seems to indicate that consumers are willing to watch online TV with traditional advertising breaks. In other words, the double free idea doesn’t even seem necessary for internet TV to work. Internet TV should have a tremendous future and it will be stronger if the industry stops the promise of double “free”. Internet TV’s future comes with the truly exciting opportunity: integrating programming with interactive features that make the programming more valuable. But sadly, companies aren’t talking about delivering more value. They’re getting wrapped up in dead ends – like removing advertising when there doesn’t appear to be monetized market power created by doing so. So next time you hear someone talk about how great it is to get free programming on the internet, know that they’re really talking about a future of really bad programming. You may not like programming today (it’s fun to complain). But just imagine what it would be like in that free future.